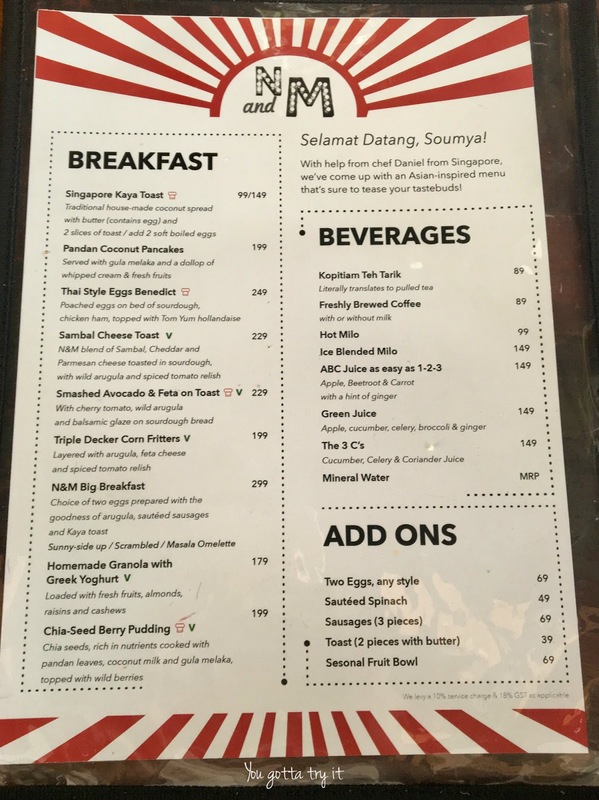 You gotta try it: Have you tried the new breakfast menu at Nasi and Mee, Koramangala? Have you tried the new breakfast menu at Nasi and Mee, Koramangala? One cannot simply miss the new breakfast option available at Nasi and Mee in Koramangala. This popular Asian canteen never disappoints its customers. Nasi means ‘rice’ and Mee mean ‘noodles’ and I was wondering what’s in store for breakfast. 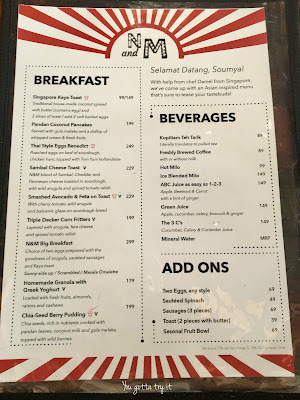 To be honest, this was my first proper Pan-Asian brekkie and the excitement started the moment I saw my name on the menu with a welcome note. My friends ordered a freshly Brewed Coffee and Ice Blended Milo. If you love Milo, then don’t miss this thick shake when you are here. Thai Style Eggs Benedict was one of the best Egg Benedict I have tasted so far. Tom Yum Hollandaise created the magic in this dish. The eye catchy poached eggs on a bed of sourdough bread and chicken ham made it a complete meal with a portion of wild arugula relish. Next, on the menu, we tried a ‘Sambal Cheese Toast’ prepared using an in-house special Sambal, Cheddar and Parmesan cheese toasted in Sourdough and served with a portion of wild arugula and spiced tomato relish. My friend who pretends to be dieting (I would rather say die-eating), ordered a colorful ‘Homemade Granola with Greek Yoghurt’. 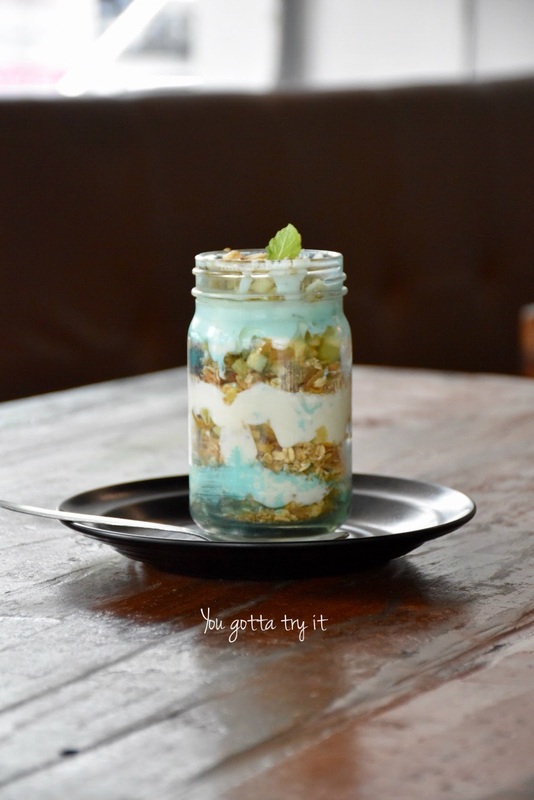 This came in a cute jar with layers of fresh fruits, almond flakes, cashews, raisins, and Greek Yoghurt. The breakfast Granola was power packed, super healthy and tasty to the core.